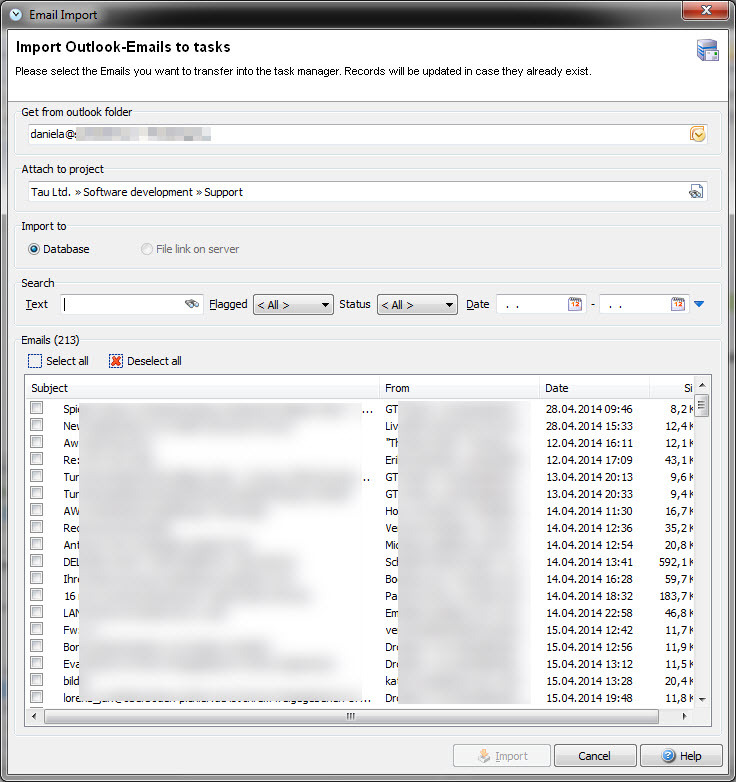 You can import emails from your Outlook system to Xpert-Timer. 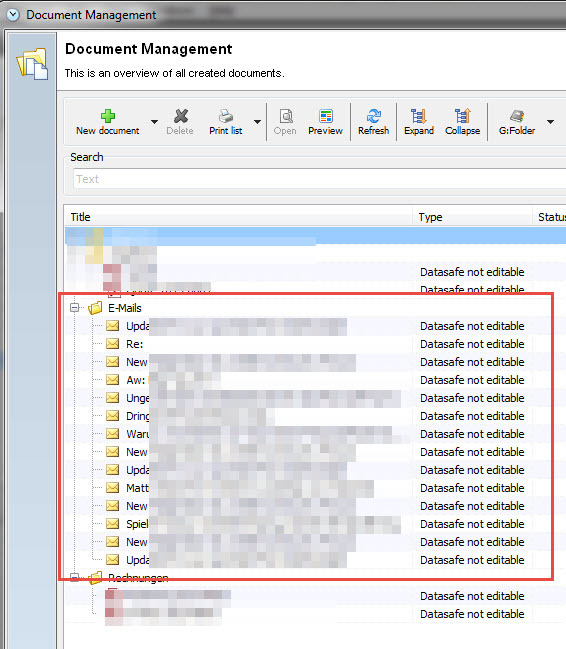 The emails are saved as .msg files in the document management. If you import your Outlook emails to your task list, a new task will be generated from the email. The subject of the email is your task name and the file itself will be saved in the document management. 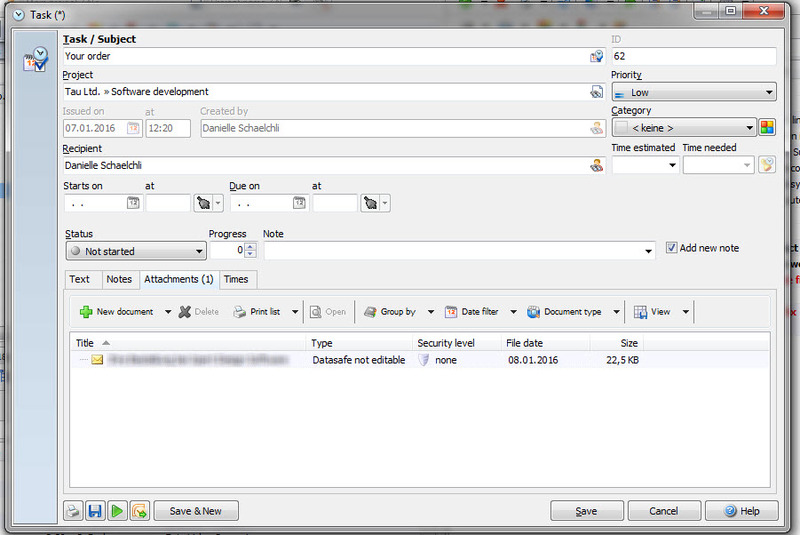 You can drag&drop an email from your Outlook system into the task list of Xpert-Timer. This way you can create a task fast and easy. In order to do so, right click on your buttons and show the button "Email Import". As soon as you use the button you'll be asked what folder you want to import from outlook. Then choose the emails you want to import as tasks. Make sure, you've selected the correct project before you import your email. Use the date field to filter your emails if you have thousands of them in your inbox! As soon as you hit "Import" and accept the confirmation question the emails will be attached to your project and written into the database. The imported emails are now visible as tasks in your task list. Additionally you'll find those emails in your document management. 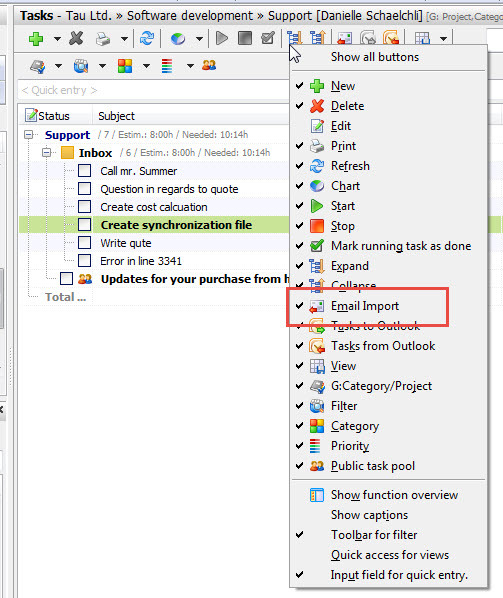 Another option to import tasks from Outlook is to drag&drop them into your task list. Make sure you choose the correct project when saving the task. As soon as you drag&drop the email, the "New task" dialog will open. Your email is attached to the task. You can find the details in the tab "Attachments". Please note, that the email text cannot be imported into the text area of the task. The email will be saved as an attachment and the subject of the mail is the name of the task. 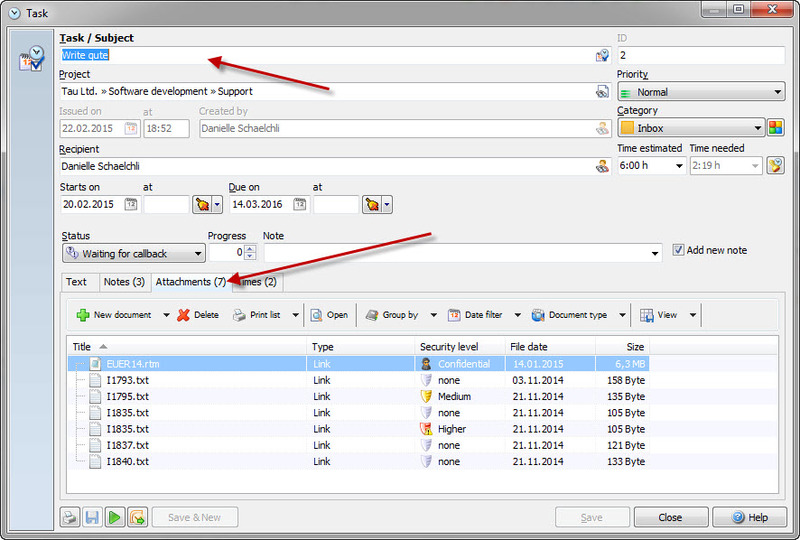 In the configuration you have an option to "Send tasks to Outlook when saving". You should use this function if most of your tasks should be created as tasks in Outlook as well. In case you only sometimes export a task to Outlook, don't use this option. You'll be asked if you want to export the task to outlook when you save a new task. Then you can decide if yes or no.